Basement of Ghoulish Decadence: Evil Dead = Black Sabbath? Oh yes, on this holy day of Easter Sunday, I'm going to make a little comparison between a gory horror classic and a band whose only contribution to music being inclusion in the PMRC's Filthy Fifteen--just kidding metalheads. Last night was one of those evenings, something we've all experienced, you pop a flick in as a halfhearted appetizer and soon get sucked into a feast. Then afterward you're terminally nodding off, despite originally intending on a double feature. My 3,872nd viewing of Raimi's The Evil Dead was the poison this time. That's an exaggeration, but this '80s classic is one I gotta watch every once and awhile since, you know, I'm one of those uncultured modern horror bastards who chooses to usually wallow in post-Texas Chain Saw trash. Which leads to the Black Sabbath connection/question. One muse often tossed around about these metal pioneers is that the original incarnation essentially gave birth to all the riffage templates of the subgenre with everything to come after modifying the basic formula. This kept running thorough my mind last night. Especially concerning the flood of DTV horror with the invent of cheap digital, how strong is The Evil Dead's influence today? Or does the influence border on parody nowadays? Or is this classic more regulated to a "phase of viewership" within the horror community and really doesn't have much "singular" influence on the genre's DIY product and filmmakers? 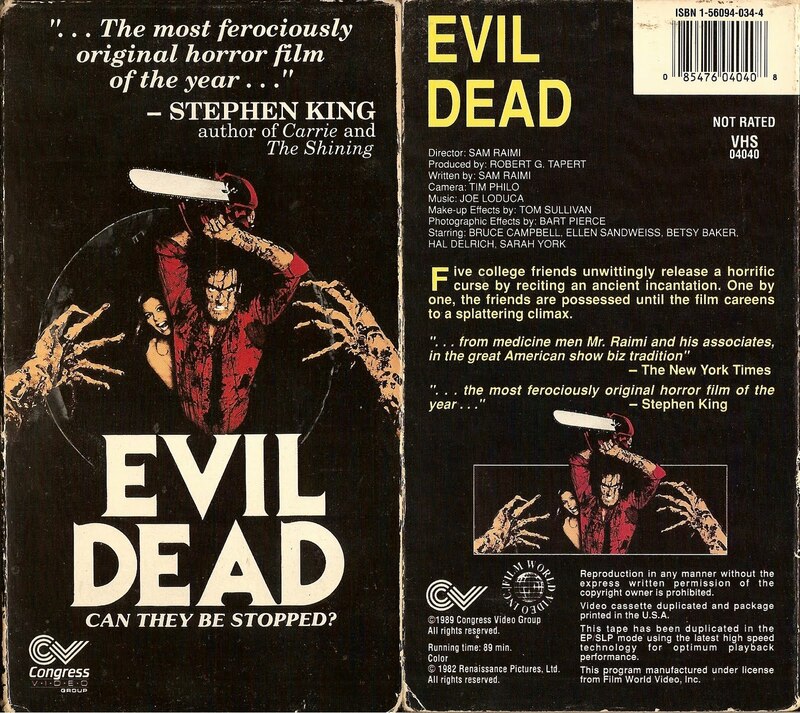 I think Evil Dead is still very influential. Just look at Dead Snow, they have a whole conversation about Evil Dead I and II. Characters start talking about how their whole trip to the lonely cabin in the snowy mountains is similar to the trip the characters in Evil Dead I and II take to the cabin in the woods. Not to mention, that the whole film imitates many key elements from Evil Dead, like the lonely cabin setting, the tool shed, the chainsaw, the chopping off of one of the main characters hands with said chainsaw. Even stylistically, Dead Snow imitates Evil Dead. Theres a scene in which a character puts on a weapon, with a series of quick edits, Raimi style. 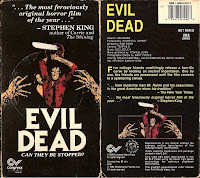 Id say that yeah, Evil Dead has had a huge amount of influence over many horror movies.